No. 35 of my 35 at 35 list is a simple one but perhaps the biggest, being comfortable with my body. I think this is something that most women struggle with, particularly at this time of year when temperatures are rising and bikini season is upon us. It’s impossible to escape the message thrust upon us by the media as to what our bikini body should look like. Everywhere I look I’m told what I should be doing and eating (or not eating as is often the case) to acheive that perfect look. I don’t think I’ve ever been particularly overweight, in fact in the past I mighta been almost too skinny. I’ve never been happy with how I look though and always wanted to change something. It’s seems so ridiculous now when I look back at old photos. This is what I wanted to change. I’ve always been happiest when I’ve been in a regular fitness routine rather than when I’ve starved myself to loose weight. So this year I’ve tried no fad diets, I’ve been learning to cook and mastered a few healthy dinners, and been trying to workout regularly. I started with a running challenge with a friend throughout February. 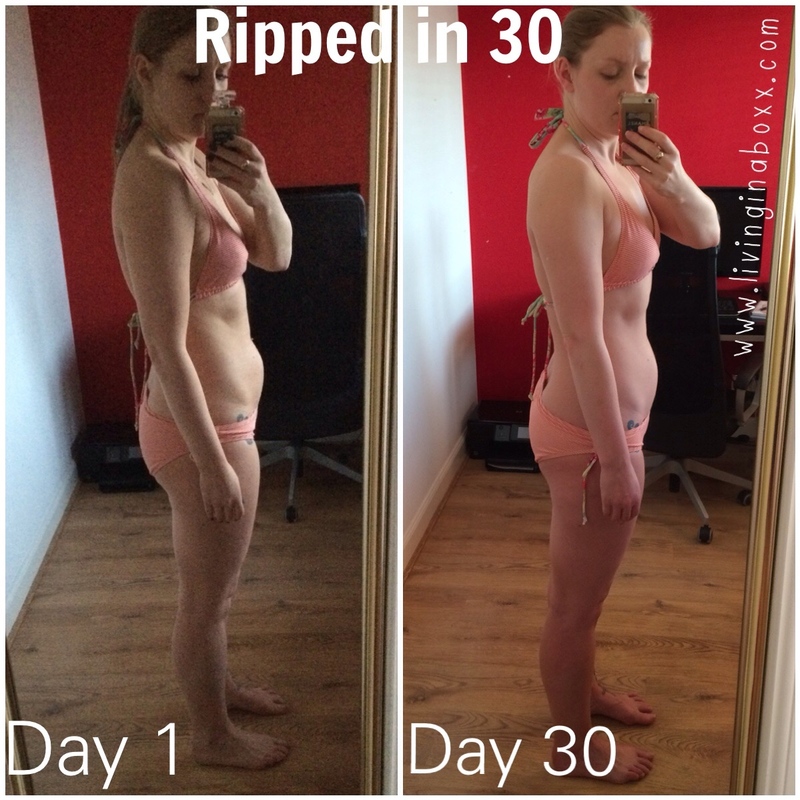 In March I took on my favourite trainer Jillian Michaels’ Ripped in 30. So I don’t have a flat stomach, thigh gap or Madonna-esque arms, but I’m pretty happy with it and that’s what matters. I would like to be a little more toned and think I’ll tackle the Hard Body workout next. The main thing though is maintaining the changes I’ve made in my lifestyle, so often I fall right back to bad habits after finishing one of these challenges. I know exactly what You’re talking about! I was a runner in school. Now 5 years later almost done with Engineering school, I can barely do 3 miles walking without choking. I’ve gained 10 kg and I’m trying to lose them back now. I’ve already started a walk at home program to ease back into it. I think the transformation is awesome! Doing something consistently is the hardest part, but once you get it down to a routine it’ll be a lot easier. I’m really skinny but I’m working towards gaining more (muscle) weight and eating healthier, just cause society says I look healthy doesn’t mean I am! You look gorgeous and more importantly completely in love with and comfortable with yourself. You look awesome, and your pics made me want to try this program! You can really see the difference in your hips and thighs.